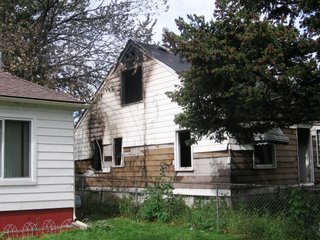 There was a fire shortly after 8 p.m. yesterday in an abandoned home at the southwest corner of Clayburn and Diversey. Six trucks from the Detroit Fire Department responded quickly and had the fire out before it had a chance to spread to nearby homes. I captured the tail-end of the fire itself last night on my camera phone. 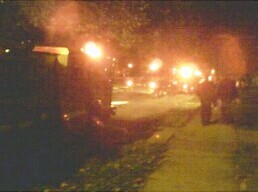 Those blurry things with light on them really are fire trucks, I swear. I went back during the day to grab a few shots of the house itself. It looks like the building could still be salvaged. However, since it was an abandoned building to begin with - I'm not holding my breath on it happening any time soon. 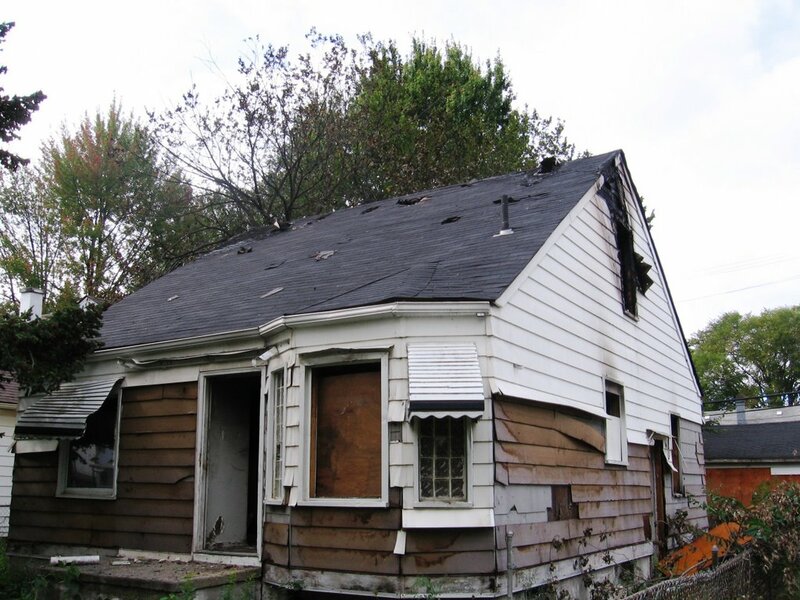 I have a hunch that this was a case of arson, simply because it's a fire in an abandoned home and there was no other obvious cause. Again, kudos go out to everyone at the Detroit Fire Department for getting this one under control so fast.